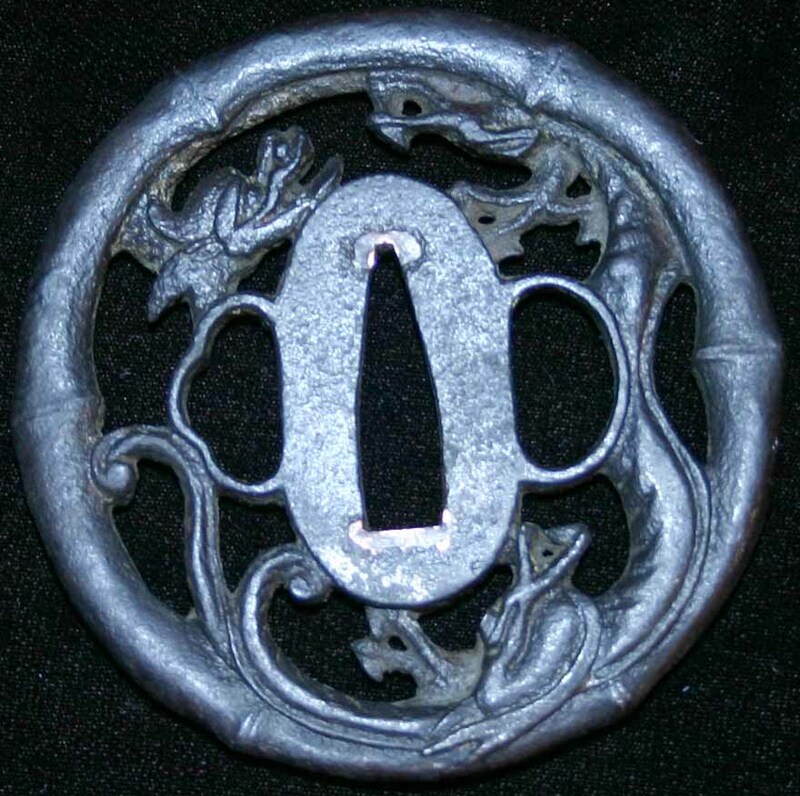 This is a very unusual style for a Akasaka tsuba. The side of the piece is covered with bones. 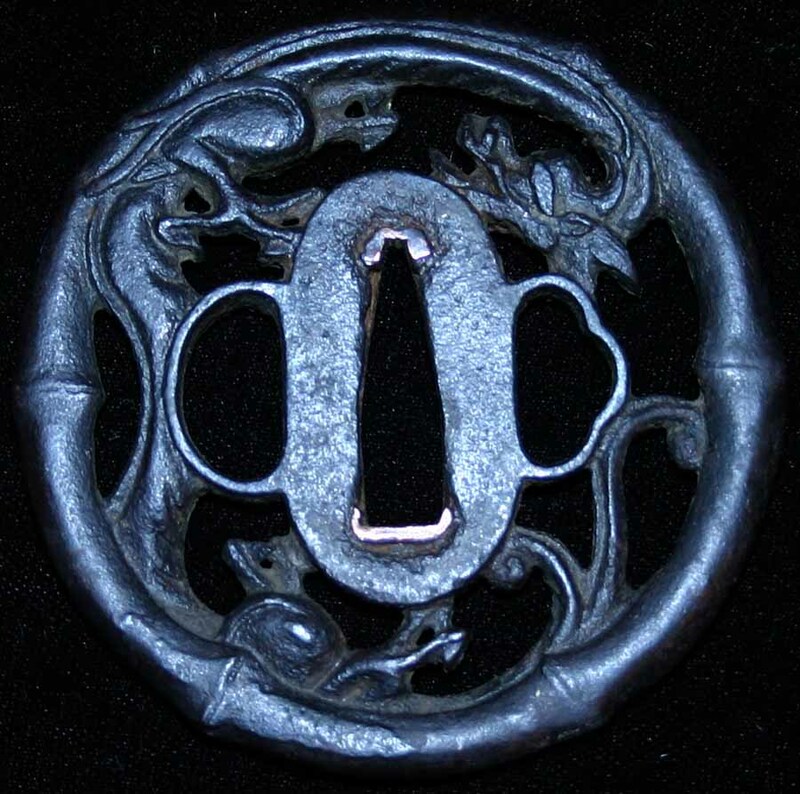 The motif is a dragon inside of a bamboo ring. This thick katana tsuba measures 2 14/16" by 2 14/26" and is almost 1/4" thick. A fantastic piece that is priced to sell!